Place flour, eggs and bread crumbs in three shallow dishes. Dip cutlets in flour, then egg wash, then dredge in breadcrumbs. Heat enough olive oil to cover bottom of large skillet over medium heat. 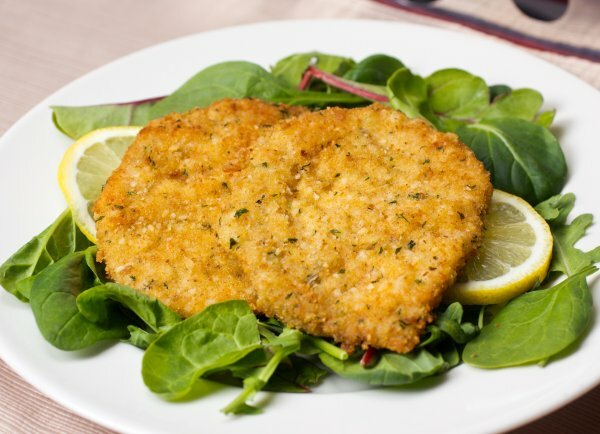 In batches, fry cutlets in hot oil until golden, about 3-4 minutes on each side. Add more oil as needed. Drain on paper towels. Serve with warm marinara as a dipping sauce. Note: Pork can be substituted with thin cutlets of chicken or veal.